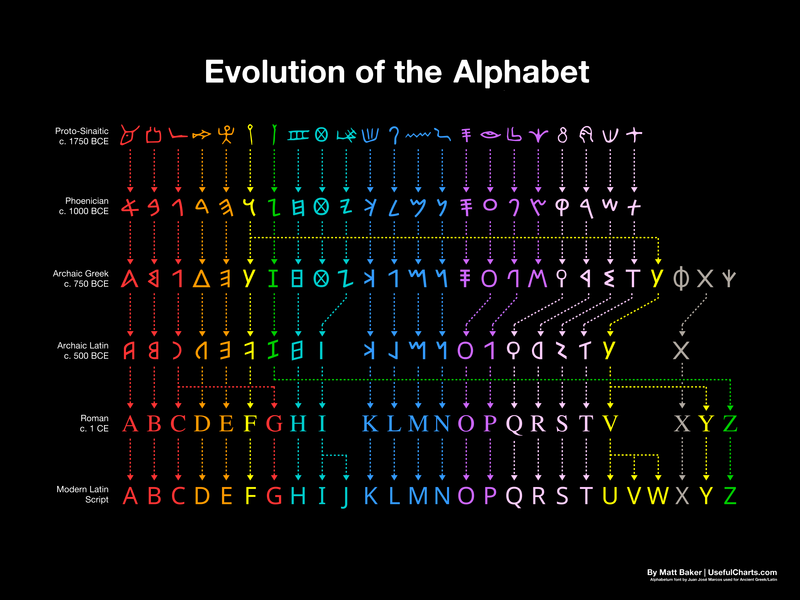 Matt Baker of Useful Charts has designed a wonderful high-resolution wall chart (bigger) that explains how each letter of the alphabet developed over several periods within thousands of years. The chart shows how modern English language emerged from the ancient Proto-Sinaitic script of biblical times to the Phoenician alphabet to the Archaic Greek alphabet to Archaic Latin to Roman script and the modern Roman form we know and use now. Baker reveals that while the chart arranges the letters according to the English alphabet, the letters are not originally English.